Evelyn Rogers Clark, 84, went home to be with her Lord on Sunday August 7, 2016. The funeral service will be held Wednesday at 2:00 PM at Biggs Funeral Home Chapel with Kurt Honican officiating; burial will follow at Martin Memorial Gardens. Evelyn was preceded in death by her parents John Haywood and Nettie Frances Cullipher Rogers, a son Keith Lane Clark and brother John Haywood "Frog" Rogers Jr.
She loved to cook and working in her flowers and gardening but most of all taking care of her family. She was a wonderful daughter, wife, mother, sister, aunt, and friend. She will be missed tremendously but knowing she is with the Lord is a reason to celebrate. 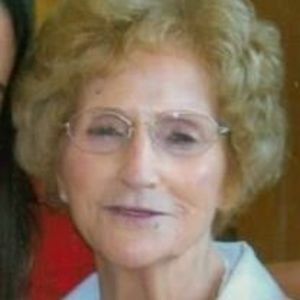 She was a member of Christian Chapel Church of Christ for many years .Evelyn was retired from the Martin County School System where she worked as a teacher's assistant for 27 years. of Minneapolis MN, James Rogers and wife Virginia of Tarboro, sister Mary Frances "Squeak" Bailey and husband Jerry of Pikeville. The family will receive friends Tuesday from 6:30-8:30 PM at Biggs Funeral Home and other times at the residence 13382 US Hwy 64 Williamston NC. Flowers are welcome or donations may be made to Christian Chapel Church of Christ.